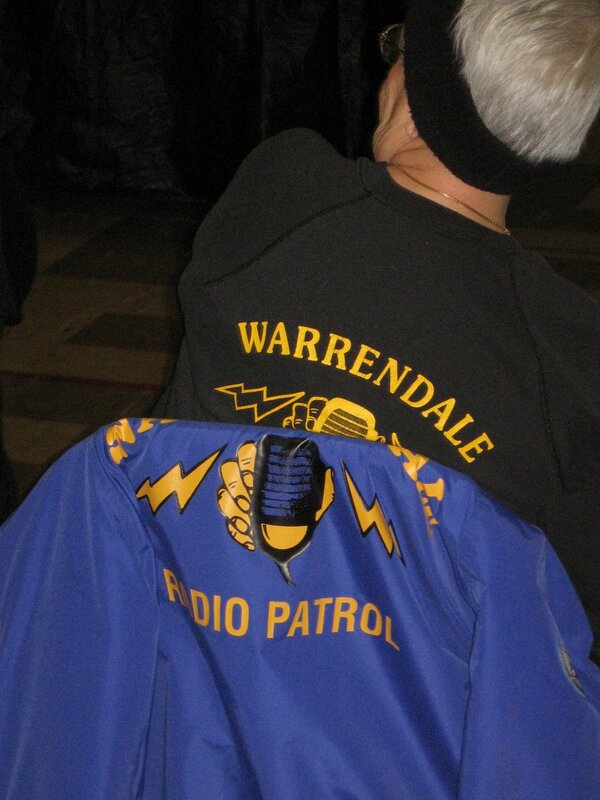 A group of concerned residents is resurrecting the long-dormant Warrendale Radio Patrol. This group of volunteers acts as the eyes and ears of the Detroit Police Department, patrolling the neighborhood and reporting what they see. If you would like to help them protect our neighborhood, either as a volunteer or with a donation to cover their gas and other expenses, please reach out to them. They can be contacted via their Facebook page or by calling David Brierley at (734) 560-4953. I appreciate the work that these volunteers are doing in our neighborhood. I wish them the best. As part of this blog's Friday Focus series, Champps in West Bloomfield is teaming up with the Student Heart Check program at Beaumont Children’s Hospital to support free heart checks for high school students. Champps, located at 7410 Orchard Lake Road, will host a celebration to benefit Beaumont Student Heart Check on Thursday, February 26. 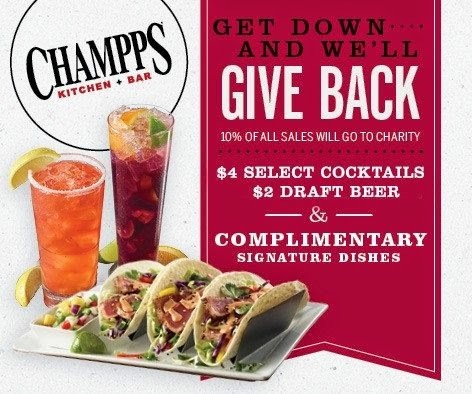 Champps will donate 10% of sales for the entire day and night of Thursday, February 26 to the Beaumont Student Heart Check program, which offers free heart checks to high school students to help detect young people who may be at risk for sudden cardiac arrest. The party begins at 6 p.m., when guests are invited to enjoy a complimentary sampling of Champps’ signature dishes, including Champps Americana Chopped Salad, Chipotle Burger, Pepper Seared Ahi Tuna Tacos and Calamari Fritti. Featured signature cocktails include Grand Sangria, Island Rum Punch and Champps Long Island Tea for $4 each; draft beer will be available for $2 each. In addition, Michigan’s own Latitude 42 Brewing Company will be hosting a “Tap Takeover,” where they will feature six of their beers on tap, including favorites Schoolhouse Honey Amber Ale and Lucifer's Cuvee-Double Chocolate Rye Stout. "We are thrilled to be partnering with Champps for their celebration event and are so grateful they have chosen to support our efforts,” said Jennifer Shea, Event Coordinator for Beaumont’s Student Heart Check program. “We are looking forward to a fun and festive event. We invite everyone to come and join us on February 26!" Champps in West Bloomfield offers 31 High Definition TVs; nearly 50 kinds of beer, including 24 beers on tap, 15 of which are craft and 11 of which are local; and a deliciously crafted menu for sharing, snacking and dining. Champps in West Bloomfield is open seven days a week from 11 a.m. to 12 a.m. Sunday – Wednesday and 11 a.m. to 2 a.m. Thursday – Saturday. For more information, reservations or to book a private event, call Champps at (248) 538-6333, or visit us at www.champps.com on Facebook and Twitter. The Friday Focus is an occasional feature to draw attention to stories outside of the Warrendale neighborhood that the publisher believes is worthy of an extra dose of attention. The social media-driven ride sharing service Uber confirmed this morning that they will deliver paczki to customers across metropolitan Detroit who request them tomorrow. 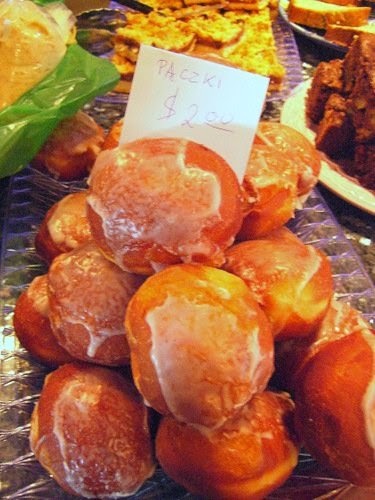 Their exclusive source for all of these paczki will be the West Warren Bakery (15708 W. Warren Ave.) in the Warrendale neighborhood of Detroit. Meet their driver outside upon arrival to pick up their tasty treats. No cash is needed. They'll charge the card on the users Uber account. I'm thrilled that Uber is turning to one of the bakeries in the Warrendale neighborhood as their source for paczki this year. I hope people across the Detroit region enjoy them. U.S. Attorney Barbara L. McQuade announced last week that the federal corruption investigation of Wayne County government was now complete. Joining her in this announcement was Paul M. Abbate, Special Agent in Charge of the Detroit Field Office of the Federal Bureau of Investigation. The investigation, which began three years ago, resulted in the convictions of five individuals, including Wayne County’s Chief Information Officer and an Assistant Wayne County Executive who served as the Director of HealthChoice of Michigan. The United States will not seek any additional charges in connection with the investigation. An indictment was unsealed last week charging a former court officer for the 36th District Court in Detroit with extortion, mail fraud and theft, said U.S. Attorney Barbara L. McQuade in a prepared statement. Joining in the announcement was Michigan Attorney General Bill Schuette and Paul M. Abbate, Special Agent in Charge of the Detroit office of the Federal Bureau of Investigation. Marlon Cleveland, 33, of Westland, was charged with misusing his position as a Court Officer for the 36th District Court to steal and extort thousands of dollars from defendants in civil cases over the course of more than a year. The crimes are alleged to have occurred in 2013 and 2014. This case was investigated by the Federal Bureau of Investigation in collaboration with the Michigan Attorney General’s Public Integrity Unit. An indictment is only a charge and is not evidence of guilt. Every defendant is entitled to a fair trial in which it will be the government’s burden to prove guilty beyond a reasonable doubt. As we get another day closer to Valentine's Day, I will continue with my theme of romantic indie movies that never got the respect that I feel they deserve, I give my readers Once. This movie stars Glen Hansard as a street musician and Markéta Irglová as a flower vendor in Dublin. Their love is so messed up yet so perfect at the same time. I think that's why I love this movie so much. It just feels real. As a bonus, Once has one of the best soundtracks of any film in recent years. The filmmakers also photographed Ireland beautifully. Valentine's Day is fast approaching. Since I'm a) a major film buff and b) currently single, I thought I'd commemorate the holiday by highlighting a series of independently made romantic movies that never got the kind respect that I think they deserve. First up is Timer from 2009. It stars Emma Caulfield from Buffy The Vampire Slayer and is one of the few films to blend romance and science fiction beautifully. Imagine, if you will, having a device implanted on your arm that counts down continuously to the day when you will meet your soul mate. One where each of you are alerted the very second you meet each other so there's no guessing involved. That's the world of Timer. And the implications of taking that guess work out of meeting that special someone are rather far-reaching. I cannot recommend this movie highly enough. I loved it.